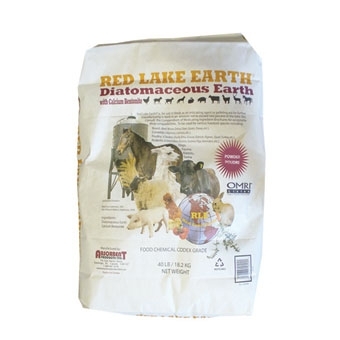 Red Lake® Food Grade-Diatomaceous Earth is ORMI listed for use in organic production and registered for use as an anti-caking agent. It is safe and does not contain any anti-biotics or harmful chemicals. It has also been approved by the EPA for use as a natural insecticide that can be used both inside and outside! The benefits include: Reduced manure odor, Improved Feed Conversion & is an anti-caking agent. It has been used in dairy, beef, poultry, equine, bison, sheep, goats, ratite and even in pet food diets with postitive results! 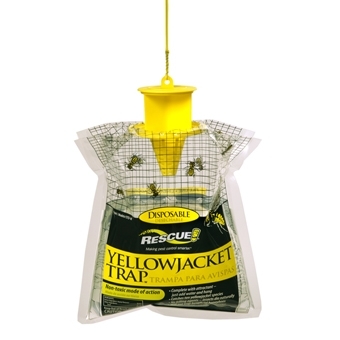 This Rescue® Disposable YellowJacket Trap features a Non-Toxic mode of action; Insects just drown! Simply add water & Hang! This is perfect for using when picnicing or camping. It is especially effective in later summer & early fall when yellow jackets require moisture to surive. They are attracted to the "water" in this trap as well as the included attractant--and become trapped within;causing them to drown. For use on Dairy Cattle, Beef Cattle, Horses, Swine, Poultry, Dogs, Cats and also can be used to treat livestock premises and homes. Controls Lice, Flies, Fleas, and Ticks. Can be applied directly to the animals as well as their bedding and premises. *This is Currently Only Stocked at the Owego Store. 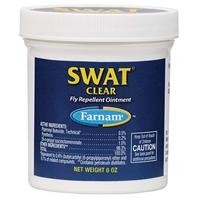 Swat® fly repellent ointment can be used for dogs, horses and ponys to treat superficial wounds, abrasions, sores and scratches. It protects wounds, open sores & more from dirt, filth, and disease-carrying flies. It is made from a botanically-derived pyrethrin formula that will repel house flies, stable flies, face flies, and horn flies---also killing them on contact! It is ideal for use on ears and facial areas. Long-lasting, effective for hours. Sweat-resistant fly spray for horses. Insecticide/repellent/sunscreen formula provides repellency, quick knock-down and long lasting protection from flies, gnats and mosquitoes. Repels and kills deer ticks that may transmit lyme disease. Provides up to 14 days of fly control. Unique formulation stays active and keeps working even in wet conditions and when the horse sweats. The special sun-screening agent in this product protects against both forms of the sun's harmful ultra-violet rays. This product has all the same great product qualities of the original Bronco spray with the addition of a new formula. Contains Prallethrin, a proven, effective synthetic substitute for natural Pyrethrin. Prallethrin is exclusive to Farnam for use in equine products. 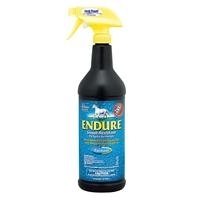 The exclusive Bronco "e" formula repels and kills six fly species, mosquitoes, gnats, fleas and ticks.